OBR Optimization Engineering – Better Business Systems. Now! Is Your Enterprise Winning at LEAN CI Efficiency? Do You Have Systems that Need Optimized? Improve Cost Center and Revenue Generation ROI! OBR Optimization Engineering Will Increase Productivity Greater than 50% (or it’s Free!)! What is Lean Six Sigma CI? Continuous Improvement Lean principles describe systematic methodologies for eliminating waste from within business systems. Six Sigma is a set of tools and techniques for defect reduction in a business system. Six Sigma seeks to improve quality of output by identifying and removing root causes of defects and minimizing variability of manufacturing and service operations. Six Sigma tools reduce causes of defects and variation of systems with analytical and statistical methodologies to include Root Cause and SPC Analysis that control production and service operations. What is ERP Software Development? Enterprise Resource Planning describes the ‘software’ that runs the ‘backend’ of a business. From ‘Automation’ and Supply Chain Management to Customer Service, software automation and database systems are used to track and enhance the efficient delivery of information to support the customer. Development of software includes research on current technologies, customization, implementation and training of software systems to improve and deliver efficient and quality products and services. What is Quality Systems Develoment? Quality systems ensure delivery of products and services to the ‘level of expectation’ within regulated industries. To include medical device, aerospace, and specific industrial operations. Required quality ‘level of delivery’ is ensured with documentation of operations via a ‘paper or electronic’ trail to enable a ‘traceable’ path’ for quality systems. Improvement and development of ‘systems documentation’ to ensure required ‘level of expectation’ is the standard for OBR Optimization Engineering. Business Process Improvement is achieved with a Lean CI approach to optimize operational systems with Sales Development, Website SEO E-Commerce Development, and Digital Marketing. The goal of Lean CI is to deliver efficient operations with quality products and services. Organization Developmental actions are taken to improve existing systems to meet current and new standards and objectives. Why Use Lean CI Optimization Methodologies? The bottom line is that customers are attracted to and purchase the value derived from quality products and services. In this business environment, a competitive advantage is created when you optimize systems and increase the quality of products and services delivered to the customer. Lean tools include Value Stream Map, Kaizen Sprint, Standard Work, Kanban Pull Systems, 5S Visual Systems, Process Layout & Flow, Scheduling, Theory of Constraints, PDCA, Root Cause Analysis, Maintenance Systems, Key Characteristic Control Charts and Strategy Deployment. Software Development, Quality Systems, Business Process Improvement: Web & Sales! Outsourcing project work leads to greater company efficiencies and internal economies of scale. OBR is your Systems Optimization Solution! Optimize Service, Information Systems, Manufacturing, and Sales! Fact: ‘Productivity Improvement efforts’ are the basis for all Lean CI optimization. Solution Basis: Optimized Value Streams! The turn-around of the ‘Value Cycle Time‘ from customer request to delivery is the key metric to increasing revenue generating systems. From the perspective of the customer, value is an action or process for which the customer would be willing to pay. Waste can be defined as any action or process that does not add value to the final product and service. As Lean systems are improved, production and service costs decrease. The goal of business is to deliver maximum quality to the customer and optimal Return on Investment for stakeholders. 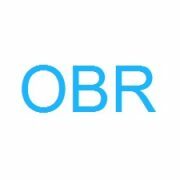 The goal of OBR is to deliver maximum quality and optimal value to the customer while controlling operational costs to ensure maximum Return on Investment. The use of Lean principles drives operational efficiency while Six Sigma increases quality with defect minimization. Control of operations is achieved with optimized systems. Operational gains are the result of systems development, innovation, and teamwork. The basic variables of time, associates and process determine the efficiency of the system. An operation’s quality determines the six sigma level. Leaders know the revenue generated compared to the cost of the system. If optimal system performance is the goal, perhaps a more focused look at efficiency, quality, and systems optimization should be considered. Investment in Lean CI will set the foundation for Return on Investment. This development will deliver perpetual ROI. Plus, Systems Optimization results in an increase in company valuation. Have you Maximized Operation Growth? 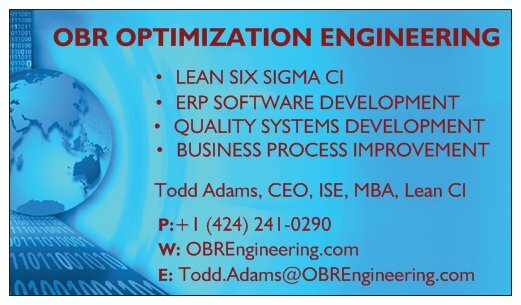 Let OBR Optimization Engineering be Your Lean CI (Continuous Improvement) Solution! What are your Priority Projects? Let OBR Engineering discover, design, and implement your ‘Systems Optimization’! 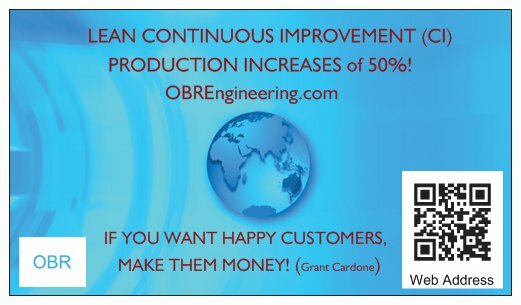 OBR ENGINEERING is your LEAN CI PARTNER! 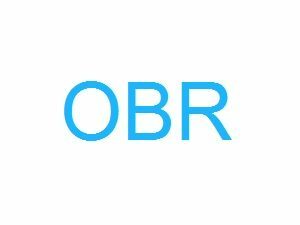 LET OBR OPTIMIZE YOUR SYSTEMS. START THE CONVERSATION TODAY! 1.) Accolades: Integration of Customized Lean Training for Associates: ‘Challenge’: Develop training to educate associates on Lean methodologies. Developed periodic Lean Six Sigma Class to educate associates on Lean Knowledgebase, Terms, Methodologies, ‘Tools’ and Practices. Researched information and developed PowerPoint Presentations with video reinforcement of Lean subject matter. Initiated discussion on ‘improvement’ of production and information systems. POC: Steve Johnson, Endress Hauser Conducta. 2.) Savings: Educated associates on need, purpose, and path for Continuous Improvement suggestions and projects. 3.) Lessons: Developed system to begin CI project conversation and suggestion from associates. 4.) Project Management Engineer: Todd Adams. 1.) Accolades: Time Tracking: ‘Improvement in ‘Time Tracking’ on ‘Hours’ spent on a ‘Project’ by various contributors. Solution outline: Research, discovery, comparison, and selection of a cloud-based Time Tracking software. Purchased Laptop Terminals with stands to facilitate use of Time Tracking software by associates without ‘ready access’ to internet from either desktop or mobile device. Benefit of system: Ease of use. Data base setup, customization, cost based on ‘number of users’, Individual Cost data logged in associate ‘profile’. Basic Premise of Software: Associates ‘begin’ task and track time, Complete task and end time track with a description of ‘work’ performed. Software could accept ‘additional’ time additions without use of ‘time clock’. Project totaled all contributors ‘time’. Administrator could download Project Time Track data for quantitative analysis, payment systems and Tax purposes. Relatively inexpensive system that would track time and give valuable information enabling better ‘view’ of the amount of ‘work’ contributed to a project. This enabled better ‘costing’ of projects and prediction project ‘completion’ dates. 2.) Time Savings: Previous sysem was ‘unused’ consistently providing no valuable data or information. 3.) Cost Savings: Ability to ‘price products’ more accurately. Ability to ‘view’ amount of work contributed to a ‘project’. 4.) Lessons: Success was based on training associates on ‘use of system’. Leadership needed to be ‘pro-active’ in monitoring system for the accuracy of information. 1.) Accolades: Operations Layout: ‘Objective’: new plant expansion, Costa Rica. Requirements: Understand current manufacturing process and layout for Bovine Heart Valve operation. (Orange County, CA plant). Production process in OC deemed ‘acceptable’. Goal: Reproduce manufacturing layout of operations. Initial layout entailed documentation, cataloging and delivering current OC manufacturing flow of operations. To include people, work-stations, support facilities, and equipment. New process and layout for Lunch Room and Warehouse. Lunch Room: Optimize flow for 500+ associates thru ‘Lunch Lines’. Subsidized meal benefit facilitated ‘need’ for the flow of associates thru ‘lunch lines’ (Lunch ‘Stations’, Lunch ‘Lines’, Food Distribution, flow to tables, flow out of ‘lunchroom’. Staggered lunchtimes for associates to moderate ‘Lunch line length’. Design considerations created per Architectural dimensions and delivered for PPT presentation. Warehouse Racking spacing layout developed. Design considerations: Shipping and Receiving plus Delivery to manufacturing operations. Designs delivered via PPT presentation. POC: Francisco Olmas, Edwards Life Sciences. 2.) Time Savings: Current manufacturing layout; Lunchroom flow optimized, Warehouse flow optimized. 3.) Cost Savings: Ability to stagger lunchtimes and food delivery for 500+ associates. 4.) Lessons: Success based on ‘flow’ and delivery of ‘lunch’ for associates. 1.) Accolades: Successful Construction of Cleanroom and Filter Testing Equipment: ‘Project Objective’: Capital Improvement – Clean Room and HEPA filter test equipment. 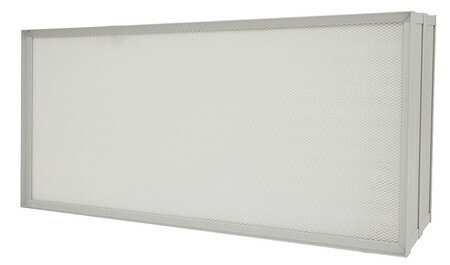 Goal of cleanroom: Test HEPA filter to manufacturer specifications. Cleanroom designed with HEPA filters and ventilation airflow to cleanroom ‘class’ requirements. Cleanroom positive pressure ensured surrounding air did not contaminate test area. Out-sourced Cleanroom construction and electrical to contractors. Test equipment would ‘scan’ filter face with a particle counter wand ‘testing’ for leaks in the filter material. The PLC controlled particle counter wand traveled across the surface of the filter in paths sufficient to scan the face of the filter. Particles in the ‘air’ that traveled through the ventilation system would indicate a ‘leak’ in the surface material. Filter test equipment was designed and clamp systems were sourced to clamp HEPA filter to front of equipment such that the filter was secure. The operator initiated the programmed scan. Particle counter tracked total particles traveling through the filter material as the wand traveled across the material. The entire surface of the HEPA filter was tested for leaks. In-house machining services accomplished necesary machine shop work. Designed test equipment from sheet stainless steel. Sheet ‘bent’ with internal machine shop equipment. Pieces riveted together. Particle Counter, PLC scan components individually sourced. 2.) Savings: Able to test HEPA Filters ‘In-house’. 3.) Lessons: Successful construction of Cleanroom with HEPA filter test equipment. PLC Programming of particle counter scan path. 1.) Accolades: Successful Upgrade Carbon Winding Machine: ‘Project Objective’: Discover Systems and Integrate new carbon winding machine with digital controls. The equipment to be replaced was an analog control machine for a key manufacturing process used to ‘reinforce’ the strength of ‘high pressure’ aerospace connectors (see ‘blue’ section of image). Goal: Increase production output, better operation control of carbon winding process, better ‘ergonomic’ machine operation (foot controls for operator). Developed baseline metrics from current operation and machine. Researched custom machine vendor candidates. Interfaced with field engineer from Entec Carbon Winding on custom machine upgrade and costing. Increased output from current operation by 200%. Use of Programmable Logic Controller to set winding ‘speed’ and ‘pattern’. Managed ‘Project’ ‘milestones to deliver system with required ‘facilities’ plus ‘clean room’ modification and ‘Layout’ for new equipment. Internal facilities department handled power requirements. Programmed machine for various winding products. Trained associates on safety, operation, and maintenance of new equipment. 2.) Time Savings: Reduced wait time for parts by 66%. 3.) Cost Savings: ROI was derived from improved capacity. Operation more efficient in delivering required production. 4.) Lessons: Successful integration of carbon winding equipment to include training and followup program modifications. 5.) 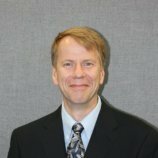 Project Management Engineer: Todd Adams. 1.) Accolades: Visual Management of Performance KPI: ‘Objective’: Display KPI for Management Review. Facility assembled galleys for Airbus Aerospace. Galleys consisted of ‘electrical and plumbing’ subsystems, custom designed paneling, and common parts. ‘Production lines’ specialized in customer aerospace type. Dashboard metrics consisted of data relevant to Quality, Production, Scheduling, and Shipments. Project: Develop individual production line ‘Dashboards’ with KPI’s (updated daily). Result: ability to quickly disseminate Production KPI’s for management and associate review of ‘issues and successes’. KPI’s consisted of information pertaining to individual production line data, ‘electrical and plumbing’ subsystems, ‘Supply Chain Management’, Quality Issues, Production Rate, Scheduling, Delivery, Shipping and Receiving. Dashboard System developed to include ‘Collection of Data’, Posting of Data, Training of Associates, Internal production rates for ‘subsystems’, Scheduling of production, ‘Vendor and Internal Issues with ‘Resolve Dates and Owner’, Quality Leads, and Customer Feedback. POC: Angelo Suitor, Zodiac Aerospace. 2.) Time Savings: Eliminate confusion and misinformation of production and quality issues. 3.) Cost Savings: Ability to ‘see’ production from a view outside of the ‘Production Floor’. Saved Time in information dispensation and Saved on misinformation concerning production shipments. 4.) Lessons: Success KPI delivered ‘Quick’ view of Operations with Key Associates disseminating information at ‘Review’. 5.) Engineer Team: Todd Adams, Internal Zodiac team members. 1.) Accolades: Successful Integration of Manufacturing Line for Industrial PH Sensors: ‘Team Project Objective’: Upgrade and Integrate Existing PH Sensor Manufacturing line into Current Plant. Integrate manufacturing line from existing Europe based plant. Team-based effort to include: Plant floor layout, Building and Facilities modification, Contractor Interaction, Additional Equipment Installation, Team Training, PLC Programming of Automated equipment. Production ramp up, ‘On the Fly’ issue resolution, communication with vendor and internal engineering personnel. Upgrade marking system to Trumpf Laser. Attended training at Trumpf facility, created automated ‘program’ to accomplish marking requirements. Created ‘database’ for marking information. Trained personnel. Solved integration issues. 2.) Savings: North America manufacture of PH Sensor type. 3.) Lessons: Successful integration of Ph Sensor manufacture process to include packaging and shipment of completed products. 4.) Team Project Engineer: Todd Adams. 1. Accolades: ‘Shaped Bag’ project for the final step in Manual Composite Carbon Layup. Originally, materials are manually pieced together during final bagging to create a vacuum to compact the composite carbon. The Shaped Bag process became a ‘candidate’ to be outsourced for potential ‘cost and time’ savings. A ‘pre-constructed “Shaped Bag” for use in the final bagging of the carbon part to achieve a vacuum before the next step of autoclave to cure the composite carbon. Via experimentation, time studies and cost analysis, it was determined the validity of the “Shaped Bag” in a vacuum environment. From the perspective of ‘Cost’, the “Break Even” point for the bag was calculated and pricing negotiated with the vendor to enable a successful project. Additional considerations: Floor marking tape in manual layup production areas. This delineated the workspace into pre-production, production and post-production zones allowing for a better flow of tools and completed parts to be staged for movement via runners. The tape allowed for better visual organization and flow of work materials. Success intailed layout of material cutting tables to improve the flow of needed supply materials during the production process. These steps increased control of the operation and decreased production cycle time. 2. Time/hours saving: The “average” Time/hour savings for the “Shaped Bag” project was a reduction of manufacturing cycle time for ‘Final Bagging’ before Autoclave. 3. Cost saving: The cost savings came from 1) travel time, 2) cutting time, 3 wasted materials. 1.) Accolades: Successful Innovation and Integration of Fluid Fill System: ‘Challenge’: Discover inexpensive accurate method to dispense fluid. Current manual system was inconsistent in delivery of fluid amounts. Researched methods and systems. Considered cost options and semi-automated operation. Associate manually filled test tube with fluid for use in manufacturing process. Considered peristaltic pump for solution. Fluid drawn from source and manually dispensed into tubes via a ‘fluid fill tube’. Requirement: program pump for ‘pace and fluid amount’. 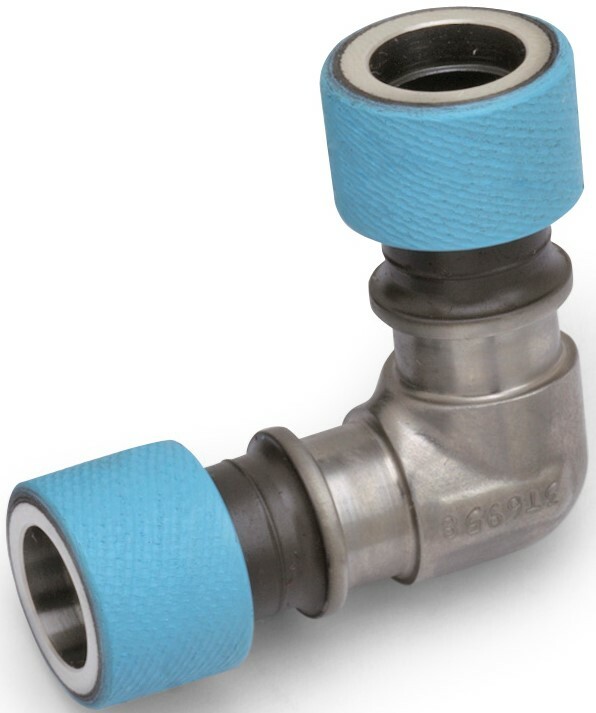 Allowed operator to manually fill tubes with required amount of fluid accurately at a ‘pace’ convenient to associate and manufacturing requirement. Operator controlled on/off of system and chose ‘fill amount’ from display setting. Developed program to allow operator to pick setting for amount of fluid to be dispensed. Experimentation confirmed settings, pace and quality of system output. 2.) Savings: Operator required ‘fill time’ reduced; Loss of fluid reduced; Re-work reduced. 3.) Lessons: Successful integration of innovative fill process. 1.) Accolades: Successful Integration of Customized Cloud-based Software for Product and Shipment Labels: ‘Challenge’: Integrate Database system to allow users to interact with system to print required labels. Researched solutions and determined proprietary cloud-based system was robust enough to handle the database and print requirements with backup for business needs. Presented proposal to stakeholders and developed system to test implementation. 2.) Savings: Convenient access to a cloud database. 3.) Lessons: Successful integration of label software for product and shipment. 1.) Accolades: Successful Oven ‘Curing’ Process Equipment ‘Upgrade’: ‘Project Objective’: Capital Improvement – New Plant Equipment. Oven used in ‘Curing’ process for Pizeo-Electric sensors in Semiconductor manufacturing. Tasked to ‘Upgrade’ existing equipment and have delivered to new plant. Defined existing and needed ‘features’ for upgrade. Presented proposal for new oven system. Attended ‘show’ where vendors displayed new equipment and technology for ‘ovens’ in industrial ‘curing’ processes. Interfaced with engineers who promoted new systems and technology. Located equipment to fulfull requirements and make project successful. Negotiated price. Submitted project specifications for purchase approval. Detailed delivery and installation instructions for facility. 2.) Savings: Upgraded equipment with controls and capacity. 3.) Lessons: Successful research, location, specification, purchase and delivery of new equipment. 1.) Accolades: Assembly process: ‘DNA Collection Kit’ in a clean room environment. Increase Methodology: ‘Conveyor Belt’. Assembly process entailed ‘assemblers and work processes’ to achieve ‘batch’ production for customer PO product requests. Success entailed understanding the ‘current’ and ‘required’ production flow, assembly process, supply chain, team member interaction. The solution developed from ‘Layout of Conveyor’, Speed of Conveyor, Work Station Setup, ‘Line Balancing’, Team Training, Dash Board Display of hourly ‘progress’ and ‘completed’ product packaging. 2.) Time Savings: Production increased from approximately 1100 units per shift to approximately 2800 units per shift. Resulted in +150% increase in production or a ‘Time Savings’ of approximately 5 hours on an ‘8-hour day of work’. 3.) Cost Savings: 5 hours x ‘Crew Rate’. 4.) Lessons: Success of ‘teamwork’ in a ‘Kata’ environment. Incentives: ‘Random’ Team ‘lunches’, gift cards for production ‘goal’ achievements. 1. Accolades: ‘Pre-Cut materials’ project. Pre-Cut materials are used in the composited layup process. A cost analysis of Pre-cut vs. manual cut materials determined that “Pre-Cut” materials could be purchased which would allow a saving of production time and company expense. Supply Chain Management: The Pre-Cut materials were entered into SAP with a ‘Material Master’ created for each item, ordered, stocked and delivered to production resulting in a decrease of cycle time for Manual Layup of Carbon Composite parts and a commensurate reduction of production cost. 2. Time/hours saving: The “average” Time/hour savings for the “Pre-Cut” materials project was a reduction of manufacturing cycle time for a carbon layup “part”. A Diverse Sample of Lean CI Engineering Projects! Plus: Cloud Data, Cyber Security, Digital Trust, AI & IOT World Wide! OBR Optimization Engineering is Your Lean CI ‘Change Agent’!